My 1965 Barracuda was originally equipped with a points & condenser ignition system. After I finished school in 1987, I upgraded my car to an electronic ignition and dual-field charging system from a 1972 Scamp. For a hotter spark, I also replaced the coil with an Accel Super Coil (PN 140001), which probably didn't make any real difference in performance over the OEM canister coil with the Mopar EIS (Electronic Ignition System) at the time. Leaner fuel mixtures result in better fuel economy because the fuel mixture has a lower energy density, which requires more throttle. More throttle lowers manifold vacuum which in turn reduces pumping losses. To maximize engine torque, the pressure peak in the combustion chamber must occur at an optimum point after TDC (Top Dead Center), which allows the crankshaft to extract the maximum amount of mechanical work from the products of combustion. Leaner fuel mixtures tend to burn slower, which requires more vacuum advance. Leaner fuel mixtures require more spark energy to ignite, which is the reason that GM introduced the HEI (High Energy Ignition) system in 1974. From previous experience, I found that my highway fuel economy is best with a fuel mixture that is just rich enough to not have lean surge. It is generally accepted that the optimum total mechanical (initial + centrifugal) advance on slant sixes is 30-32°, all in by ~3000 RPM. Some have found that the best fuel economy is 44-45° of total advance (mechanical + vacuum) while others find that the best slant six fuel economy has 45°-50° of total advance. Since I had my initial timing set to 8° BTDC, I think there is still room to improve my highway fuel economy. The old Scamp distributor (PN 3656859) had worn bushings that caused my timing to vary so I replaced it with a Direct Connection electronic distributor (PN P3690788). With the low-ratio axles, engine RPM at highway speeds would be nowhere near the 4000-4600 RPM centrifugal all-in. With my car equipped with a 2.76:1 rear end and automatic transmission, 100 km/h (62 mph) translates to around 2500 RPM. With the Feather Duster distributor, I calculate that I would have about 39° of total advance at 2500 RPM and 43° of total advance at 4600 RPM & over 12" Hg of vacuum. Even with the Feather Duster distributor, it looks like there are opportunities for improved fuel economy with a recurved distributor. There were several options for vacuum advance but Standard Motor Products has discontinued many of their products so you might need to go to eBay to find a specific component. Dan Stern provided much of the following list in Distributor vacuum can specs (list). Since the VC-187 cross-references to both slant six and small blocks, it looks like Mopar vacuum advance canisters are generally interchangeable. With 8° of initial, my PN P3690788 distributor provides 30° of centrifugal advance (all in by 2400 RPM) and 44° of total advance. I bought a VC-208 (11° distributor advance) vacuum advance pod (used on the Feather Duster) to see if I can run a lean fuel mixture that requires 52° of advance. The HEI system upgrade is to ensure that these lean fuel mixtures reliably ignite to avoid a lean surge. For more information about adjusting Mopar vacuum advance, see How To Limit and Adjust Chrysler Vacuum Advance Cans. I've been getting around to this conversion for over 5 years and decided to finally do it in 2018 after getting my Quadrajet working well in 2017. After collecting the HEI pieces from the junkyard, I had to get a few more in order to get started. To ensure the HEI module put out the hottest spark, I included a couple of relays (run & start) to provide 12V power from the battery. After having checked my spark plugs, I see that the G & W terminals on the HEI module are easily bent because of where I mounted the module. I think it would be wise to use a proper pigtail (like from the SMP LX309) to better support and protect those terminals. I might need to put a solid cover over the HEI module to protect it while I'm doing any ignition maintenance or just be a lot more careful. I completed the HEI installation on June 22 and it ran perfectly. After having tested out various APT (Adjustable Part Throttle) settings of my Quadrajet, I found that I could go from 3¾ turns-out of the APT (pre-HEI) to 0 turns (ie, full metering rod travel). It doesn't seem to have a lean surge and I can't go any leaner on part-throttle without going up one metering rod size. While the 1962 to 1974 OEM Champion N14Y slant six spark plugs (gapped to 0.035") work fine, the HEI system's higher voltage allows for wider gaps (0.040"-.045"). I wouldn't go much wider with 7mm spark plug wires as the additional voltage requirement of a larger gap puts unnecessary strain on the ignition system. GM used a larger distributor cap and 0.045" gap with their HEI engines. The extended tip NGK PN 3459 (ZFR5N) V-Power spark plugs put the spark in a more central location the slant six combustion chamber. If you need to add any circuits from the engine compartment (tachometer, oil pressure, etc) to the passenger compartment, you need to use Packard 56 terminals in the Mopar bulkhead connectors. The only issue that I encountered with the HEI Upgrade had nothing to with the HEI system. Since I had included relays to power my HEI system, I decided to also switch back to using a mechanical fuel pump after having used a Carter P4070 electric fuel pump since 1988. I had hoped that I could connect the 2 pumps in series and only use the electric pump during starting to ensure that I would not have any vapor lock issues. However, the P4070 has too much flow restriction when not running and I've had to make some changes to the fuel system. See Vapor Lock for more information. Dan Stern's recommended wiring for this system is to connect the start and run circuits and then use that combined signal to operate a battery-supplied relay. To only operate the fuel pump at start, I needed to keep the Ignition Run and Ignition Start circuits separate. This required the use of 3 relays: HEI - Run, HEI - Start, and Fuel Pump - Start. If you don't have any vapor lock problems and don't need an electric pump, you could get by with a single relay. Since I no longer have a ballast resistor mounted on my firewall, as a long-term electrical upgrade, I think it would be better add a small fuse block (like the Blue Sea Systems 5045) to power the HEI system and the rest of the car from the alternator. This would allow me to later upgrade the alternator without having to upgrade the vehicle's wiring harness and the ammeter wouldn't show the HEI and fuel pump loads as battery charging. If you weren't able to get good junkyard connectors with your HEI module, you can buy replacement connectors instead. 1 x ¼” & 1 x 3/16”. It is crucial to get the correct polarity of the distributor sensor wires. If connected incorrectly, the engine may still run but very poorly. Don't worry about the color of the wires. The plug on a Mopar EIS distributor has a male and a female connector. The male pin goes to the "W" terminal on the module. To avoid the trial & error method, you can verify that the polarity of the pickup sensor wires is correct by using an analog voltmeter set in its lowest DC range. See Chrysler HEI- theory & testing. Rotate the distributor in the correct direction and observe the deflection of the meter needle. If the wire polarity is correct, the needle will become negative as the tip of the reluctor tooth approaches the center of the pickup, and then positive as the tooth passes the center of the reluctor and the pole piece. The ignition module is the key part of this upgrade. My first choice would be to visit your local wrecking yard and look for a 1974 to 1990 GM vehicle with an OEM 4-pin ignition module (AC Delco D1906 or equivalent). I would grab the wiring harness and connectors from the distributor to simplify the conversion work and to have a better appearance. The HEI module generates a lot of heat that must be dissipated in order for the module to have long life. The large cap HEI distributors just used the distributor body as the heat sink. The PN 10474610 heat sink was used on later computer-controlled ignition systems but will work with the 4-pin module when modified with some new holes. You need to put a heat sink thermal compound between the HEI module and its heat sink to ensure that the heat transfers into the heat sink. An E-core coil has an improved magnetic circuit path. The canister coil magnetic path is a rod, so it is like a bar magnet. The E-core wraps around and has a small air gap, so there is less leakage inductance. The E is shape of core, the windings go on the center bar, that is slightly shorter than ends. An I bar closes the ends, the air gap is in the center. The windings, often on a bobbin, are shorter, and fewer turns, less resistance, so less copper losses. So the E-core is more efficient, a higher percentage of energy gets to plug. Once the coil has become saturated, additional current flow in fixed dwell ignition systems only generates unnecessary heat but provides no gain in additional spark energy. The old canister coils use ring connectors to connect to the coil. The best way to connect to the new e-core coil is with its matching pigtail. If you're using an e-core coil, the coil wire could potentially be reused from a junkyard system but spark plug wires can be too old to be reused. It would be better to source a new coil wire or modify your existing coil wire with the correct e-core coil terminal and boot. If you're using an e-core coil, you need to mount the coil somewhere and the most obvious place would be in the old canister coil's location. We have a bracket that allows the coil to be oriented upwards or sideways. You can order this from our e-store by visiting HEI E-Core Coil Bracket or clicking on the bracket photo below. Reuse the coil terminal and boot from your parts car. The HEI system is designed to use a low primary resistance coil and the HEI e-core coils have 0.5 ohms of primary resistance. Published coil design specifications (like inductance, etc) are difficult to find. Primary resistance in aftermarket coils is often published but very few (none that we could find) canister coils have 0.5 ohms of primary resistance but the HEI system works fine with ancient points coils (like the 1.5 ohm NAPA ECH IC12 coil). The energy stored in an ignition coil varies with its inductance and the square of current (ie, E = ½L * I²). Although a canister coil can have a higher inductance (L), its higher resistance reduces current (I). Coil energy varies with the square of the current times the inductance, so a lower inductance coil can supply more energy if the current builds faster. See ignition coil questions. The main benefit of using a canister coil in your HEI system is that you would be able to continue using the high tension coil wire that's specified for your engine and the coil mounting bracket..The disadvantage of using a canister coil in your HEI system is that the canister coil's less efficient design will reduce the spark energy supplied to the spark plugs. Higher primary resistance (in general terms) will flow less current and the coil will therefore take longer to saturate. There is much more to coils than resistance and, as a system, all of the components should be designed work together and individual components should not be selected on the basis of marketing hype. If you have a choice, use an oil-filled coil instead of an epoxy coil for better heat dissipation. Canister coils with a low primary resistance are listed below. The criteria for appearing on this list is purely based on low primary resistance and not reliability. Do your own research about the experience of others using these coils. The easiest way to convert a vehicle with a GM engine is obviously to use factory parts and these are readily available either from the junk yards or from the aftermarket. In case you don't have the clearance for a large-cap HEI distributor (like 1955-1956-1957 Chevrolet, hot rods, etc), small cap HEI conversions are also available (like DAVE's small-body HEI's). GM did make a small cap distributor V8 ignition system but requires a computer for ignition control. Dave Ray recommends using the NAPA IC12 (SMP UC-12) canister coil (1.5 ohms primary resistance) for his small-body HEI conversion, which is the OEM coil for many early GM applications. It would be better to use a low-primary resistance canister coil (like a SMP UF6 or an Accel 8140HV) instead if you want to stick with the OEM look. Dave Ray recommends against the use of epoxy-filled coils because an oil-filled coil is inherently better at dissipating heat and is therefore more reliable. This is a valid argument for fixed dwell systems because those systems have more dwell than necessary at low RPMs. The HEI system is a variable dwell design, which provides only enough current to saturate the coil. Whether the electronic ignition system has a fixed or variable dwell, an oil-filled canister coil will run cooler than an epoxy coil. However, an e-core's more efficient design runs cool because less energy is wasted as heat and heat dissipation is not an issue even though the windings are potted in epoxy. The HEI system will work well regardless of whether you use the IC12 oil-filled canister coil or a D503A e-core coil. The AC Delco D503a e-core coil provides more spark energy but requires the use of a coil wire with an HEI stud terminal for the coil. One way to do this is with an HEI spark plug wire set, which in turn requires an aftermarket distributor cap with HEI stud terminals. From cap with HEI stud terminals to D503a HEI coil (with stud terminal), the following have different spark plug wire lengths than those of the early engines but may still fit. We have a coil bracket that mounts the D503a and D577 to the factory coil location. 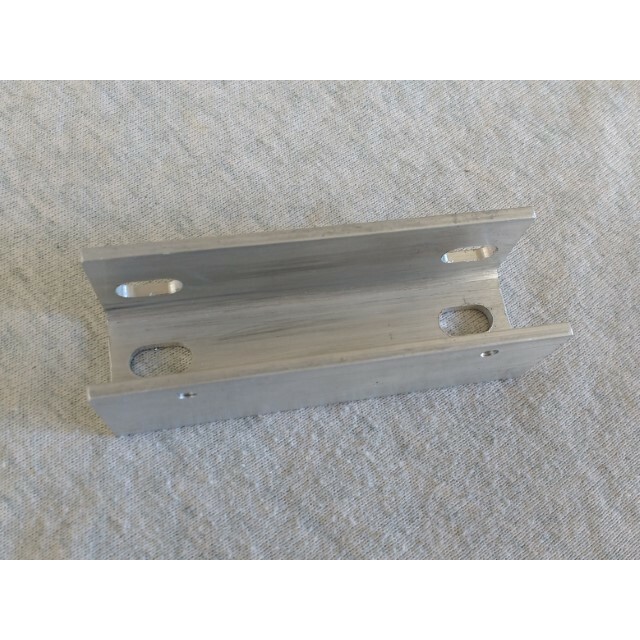 See HEI E-Core Coil Bracket. Converting a Flathead 59A distributor to use a Mopar magnetic pickup in place of stock points, and a HEI ignition module. Is a GM-Style HEI-Based Ignition Mopar Blasphemy? Here’s Why It’s Not.